OK DX Club - The home site of OK DX Club. Hot info, propagation, maps, QSL managers, software, links, membership info. 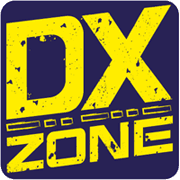 DR2W - DX Propagation - DX Propagation by DR2W! High resolution SNR maps in pseudo color. Propagation based on the actual sunspot number.